Ahh, I have to say how good it felt to have a play with my Distress inks again - it has been a while. I used the Tim Holtz watercolour paper and while I have found it wasn't really great for wet techniques for me, the ink glided on and blended beautifully. Tumbled Glass, Faded Jeans and Chipped Sapphire were used. I then sprayed on some water to get the effect that these inks are known best for, followed by Sparkle Sheer Shimmer Spritz by Imagine Crafts (a little difficult to see in this photo) and then spattered some Studio Calico Mr Huey's Colour Mist in Opaque White to finish off the sky background. The moon and sentiment are from Altenew's To the Moon stamp set - it is so fun! The moon was stamped first with Tsukineko Brilliance Platinum Planet ink for a slight shimmer. The second layer I then used Simon Says Stamp ink in Smoke and the final layer in Versamark ink with Ranger's Liquid Platinum embossing powder. The moon happily fits perfectly into a 2" punch which allowed me to adhere it to the card with dimensionals. 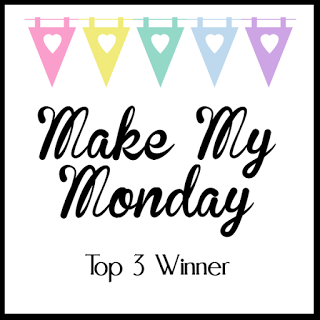 The sentiment was stamped onto black cardstock with Versamark and white embossing powder, then diecut with a label die from My Favorite Things Blueprints 13. As an afterthought, I decided to add the woodchip stars and coloured these with Zig's a Wink of Luna in silver, topping that with A Wink of Stella in silver to add some more shimmer! It is unfortunate that all the shimmery bits are so difficult to capture in a photograph! Wow this is Totally Awesome looooooving that sky. What a fab creation. Thanks for joining us at Cardz For Guyz this week, hope to see you again soon. 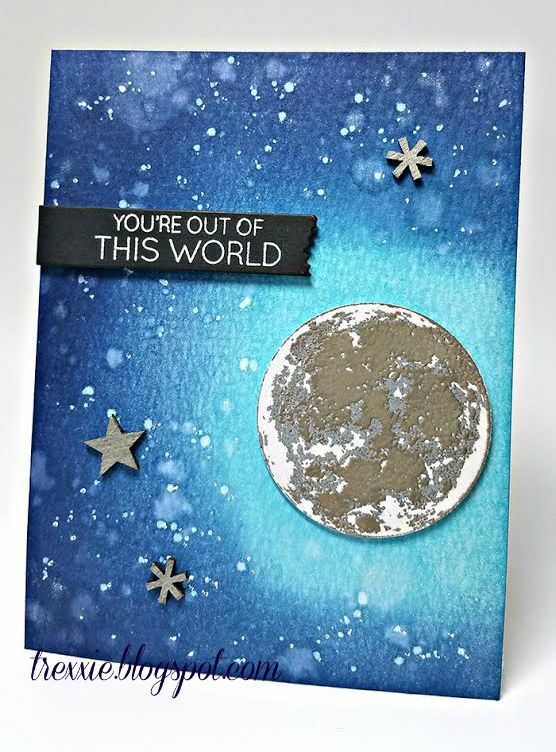 You are so talented, I saw this gorgeous card over on SSS and had to come check it out. Nice distress work, I love working with these inks too. 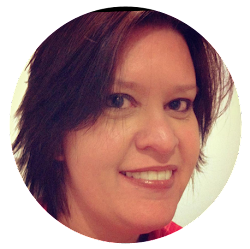 I'm a new follower of yours! Wonderful moonlit scene! The distress inks and the blending is fabulous! The water spots are beautifully mixed with white spots. The stars are a lovely addition! 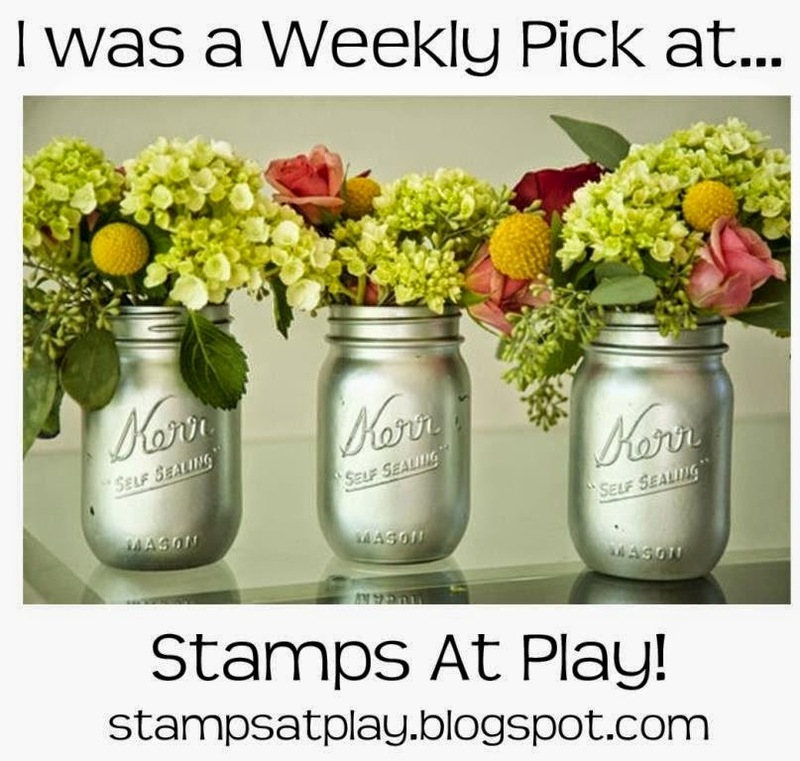 Thanks for playing along with us in the Stamp and Punch Simon Says Stamp Monday Challenge! thanks for reading my blog. glad i found yours. this is awesome!